The big news coming out of Dew Tour today is the confirmation that Streetstyle returns to Breckenridge. With an invite list featuring some of the realest street skiers on the planet, it's bound to be an amazing show. The team competition is also shaping up to break new ground with several riders you wouldn't typically associate with the comp scene on the teamsheets and the modified slopestyle format is also confirmed. Sadly, due to the lack of snow at Breck at this late stage in preparation, the modified halfpipe event has been cancelled. 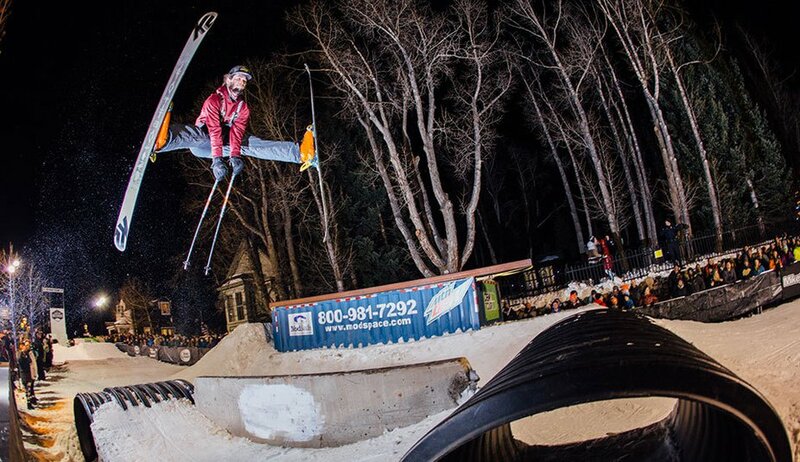 It will be a pity not to see the new take on pipe skiing at Dew this year but, with the new slopestyle format, the team event and streetstyle alongside a whole host of other events, it's shaping up to be a great weekend in Breckenridge. 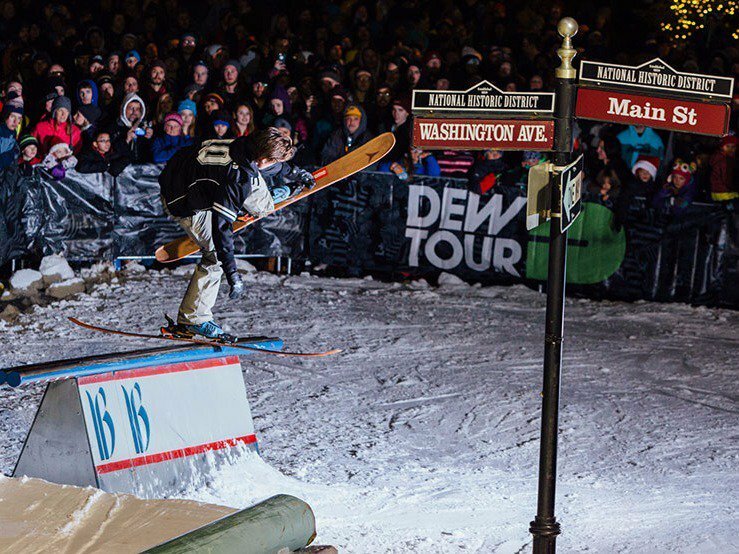 Nov. 30, 2016 (CARLSBAD, Calif.) – The final countdown is on for the ninth annual winter Dew Tour in Breckenridge, Colo. scheduled for Dec. 8 – 11, presented by Mountain Dew® and TEN: The Enthusiast Network. Weather patterns have brought snow, cold temperatures, and favorable weather to the forecast, allowing TEN and Breckenridge Ski Resort to provide a new two-part slopestyle competition, a new adaptive banked slalom competition, a new team challenge and the return of streetstyle. Winter conditions did not arrive in time for the construction of the modified superpipe competition, which has been removed from the event schedule. - The fully integrated Dew Tour Experience – the four-day winter celebration and intersection of music, art and action sports culture – will take place at the base of Peak 8 and in downtown Breckenridge. - Reimagined individual slopestyle competition that will include a Jump Section with one massive big air style jump where diversity will be rewarded as athletes are scored based on their best two out of four jumps and the Jibs Section, now featuring four separate jib setups, in which the best one out of three runs will be judged. Results from both sections will be combined for one total slopestyle score. - Adaptive competition makes its debut at Dew Tour with adaptive athletes slated to run on a banked slalom course on Springmeier trail and compete for fastest times. - Streetstyle, a fan favorite, will take place in the heart of Breckenridge on Dec. 9, coinciding with the other new town events – Powder Awards and TransWorld SNOWboarding Riders’ Poll Awards. For updates on the Dew Tour schedule of events, visit DewTour.com and follow @DewTour on Facebook, Twitter, Instagram, Snapchat and YouTube. NBC will air two specials on the Winter Dew Tour on Dec. 17 and Dec. 24, 2016.